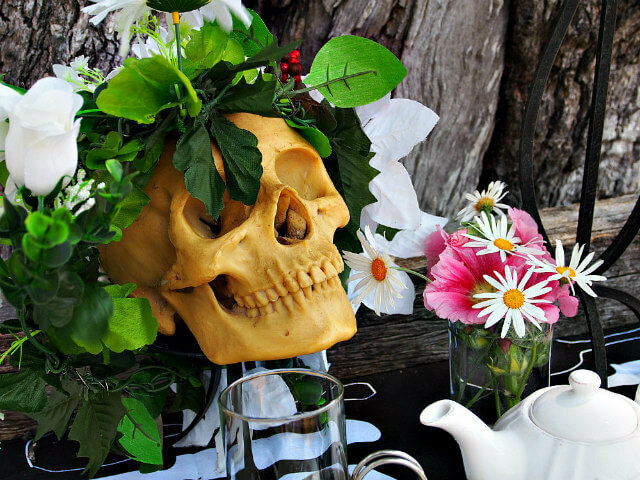 Skulls made out of sugar may seem like a bizarre feature for a fabulous tea party, but on Dia de los Muertos — The Day of the Dead — they are perfectly suited for a treasured day of remembrance and partying. Far from a macabre ritual with hints of Halloween ghoulishness, Dia de los Muertos is a full-blown celebration, an unabashed party of remembrance where the living dance, eat, and party in honor of loved ones who have passed away. 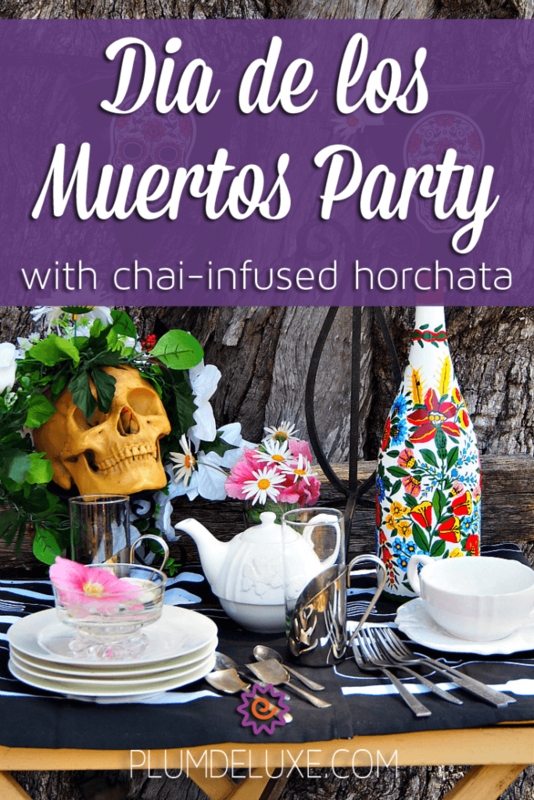 A Dia de los Muertos theme party is a fabulous way to commemorate your loved ones with the loved ones still with you. Celebrated throughout Latin America October 31 through November 2, Dia de los Muertos actually originated in Mexico. It combines indigenous Aztec rituals and Catholic traditions brought to Mexico by the Spanish conquistadores. The celebration is based on the belief that the dead would hate to see the living wasting time in excessive sadness and mourning. Instead, death is viewed as a natural part in the human experience, along with birth, childhood, and becoming an active and contributing part of society. Thus Dia de los Muertos is a day marked by delicious feasts, traditional drinks, and the jolly, high-spirited experiences the dead enjoyed while still alive. Not only the living celebrate Dia de los Muertos. It is believed that during this holiday, the dead rise from the grave to share in the celebrations with their nearest and dearest. Planning a Day of the Dead theme party begins with a great menu, a Mexican cinnamon drink, and a whole lot of sugar skulls to create a festive mood and celebratory ambiance. Instead of a centerpiece, set up a card table as an altar with photographs of loved ones who have passed on, and festoon it with candles, flowers, food, drink, and elaborate sugar skulls. Sugar skulls are what they sound like, skulls formed of sugar (though more often you’ll find ceramic or plastic versions) and decorated lavishly with colorful flowers and swirls. 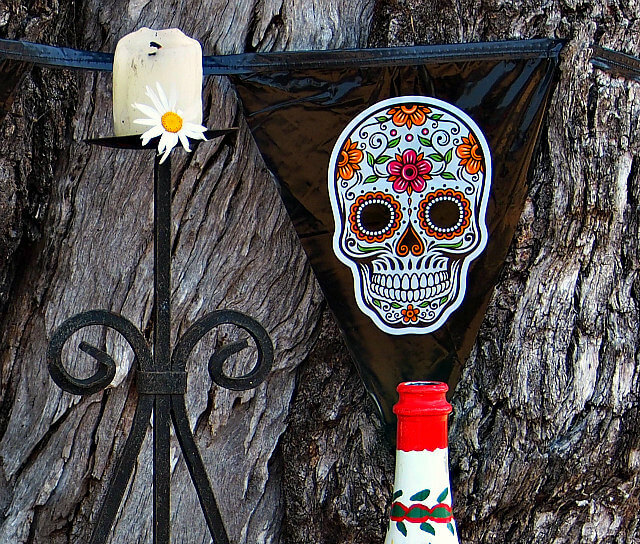 If you don’t have access to sugar skulls, embrace their spirit by decorating with a sugar skull banner, setting your table with sugar skull wine glasses, and letting your guests know they’re at the right place with a sugar skull garden flag to welcome them in. 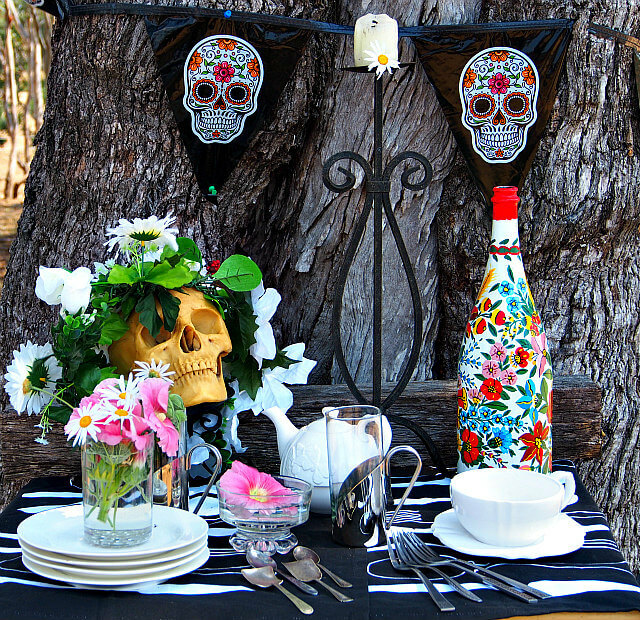 Pull out all the stops when you plan the menu for your Dia de los Muertos theme party. 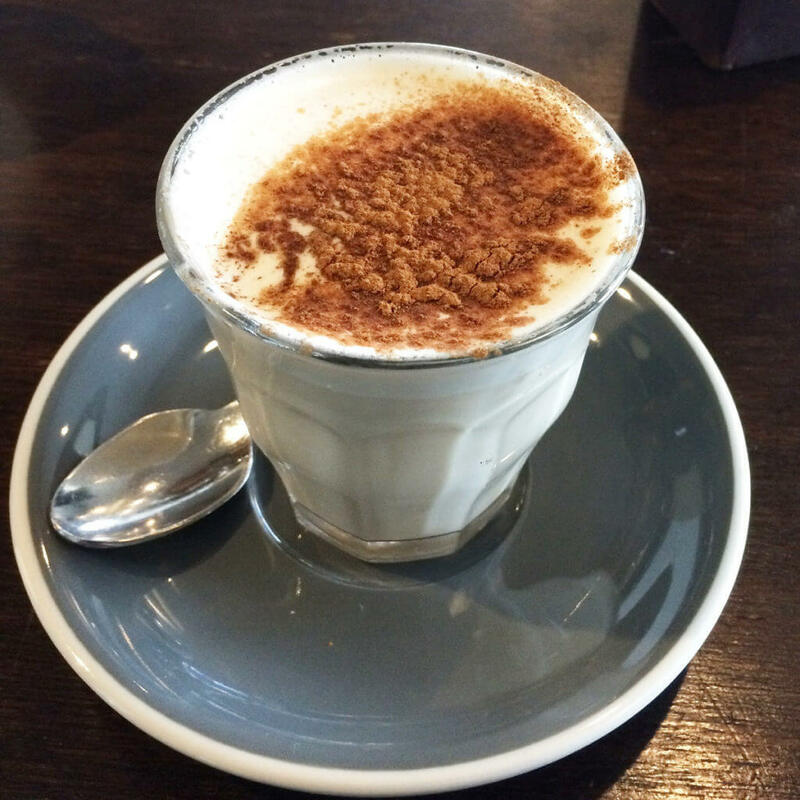 Start with an array of traditional drinks such as hibiscus water, tamarind water, and horchata, a lusciously creamy Mexican cinnamon drink. 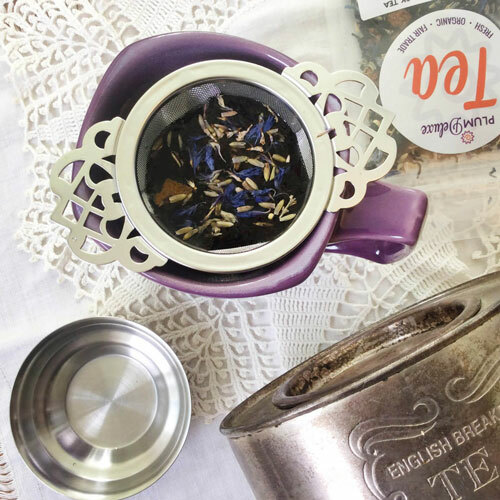 Infused with our Stargazer Caramel Mate Chai, it is especially fragrant and rich. 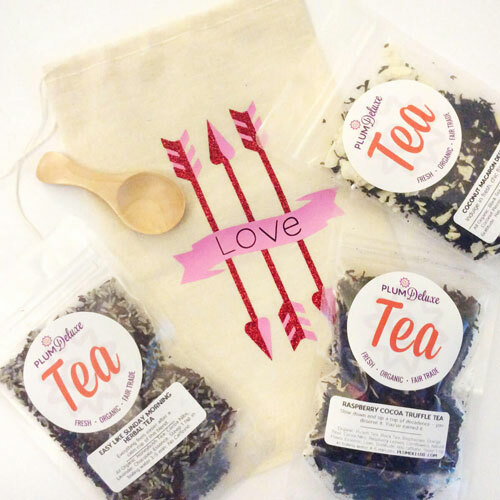 For nibbles, choose foods that use the ingredients beloved in Mexico and South America. Try Green Chili Pizza, slow-cooked beef enchiladas, and a three-layer Mexican Dip served with a big bowl of crisp, salty tortilla chips. If you want to be really traditional, bake a fragrant loaf of pan de muerto, bread of the dead, flavored with orange blossom water and anise and moulded into shapes related to death. 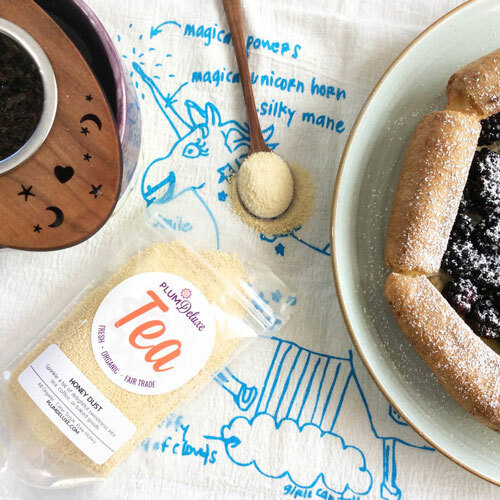 For dessert, serve a smooth caramel flan, a Mayan chocolate tart, spicy with chili and cinnamon, or make sopaipillas, delectable pillows of fried dough drizzled with honey. Bring water to boil. 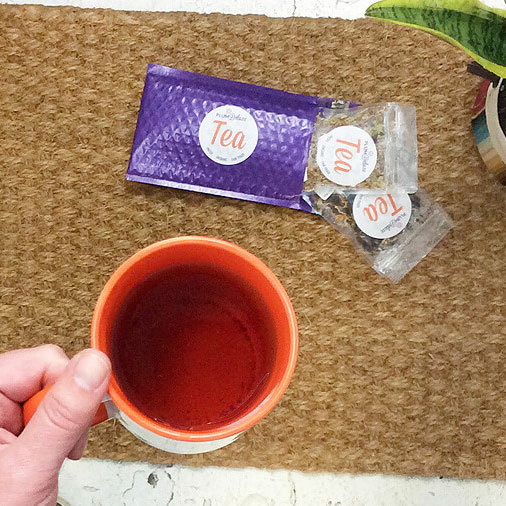 Remove from heat, pour over tea leaves, and leave to cool to room temperature. When cool, pour into blender, add rice, and blend 1-2 minutes until rice is ground roughly. Pour mixture into pitcher and leave on counter overnight. In the morning, pour mixture through fine mesh sieve. Discard rice and tea leaves. Stir in milk, vanilla, and sugar, then chill until ready to serve. Just before serving, mix well, pour over ice, and sprinkle with cinnamon. In large bowl, stir together flour, sugar, butter, salt, and baking powder. Add milk and water and stir together. Turn out onto floured surface and knead 1-2 minutes until dough is soft and no longer sticky. Cover dough with cloth and let sit for 15 minutes. Divide dough into three, cover, and let rest another half hour. Pour oil 2 inches deep in heavy-bottom saucepan and heat until 400F. While oil heats, use rolling pin to roll each ball of dough into a square 7-8 inches. Cut each square into four more squares. One at a time, lower each square into hot oil. Turn when it pops to the top. Continue turning every few seconds until golden brown. Remove to heatproof dish lined with paper towel. Remove to serving platter, drizzle with honey, and serve immediately.